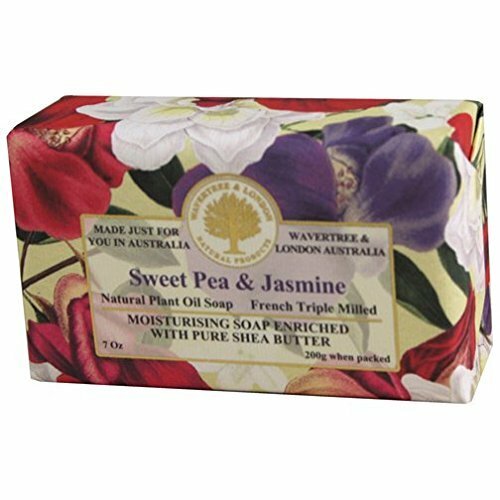 Australian Soapworks Wavertree & London 200g Soap - Sweet Pea & Jasmine is produced in Australia by dedicated artisan soap makers using the traditional French Milling process. The soaps are wrapped in embossed paper and enriched with pure Organic Shea Butter. Price includes 4 soaps. If you have any questions about this product by Australian Natural Soap, contact us by completing and submitting the form below. If you are looking for a specif part number, please include it with your message.